The Greenwood School | Japanese at The Greenwood School ? The Greenwood School Japanese Club was born out of curiosity when a couple of students discovered that Ryder, their videography teacher and member of the Greenwood residential team, had lived in Japan. The boys regularly sought Ryder out, asking him to speak Japanese and share stories about life in Tokyo. Their persistence in the dorm, lead to forming an official club on the school roster, now lead by Ryder. In its second year, the small but mighty Japanese Club continues to explore the written and spoken word, looking at common terms and ritualistic phrases said at meals and in social situations. In weekly club meetings Greenwood boys study the language and culture. They cook typical foods, watch videos on Japanese etiquette, and listen to native speakers explain life in Japan. 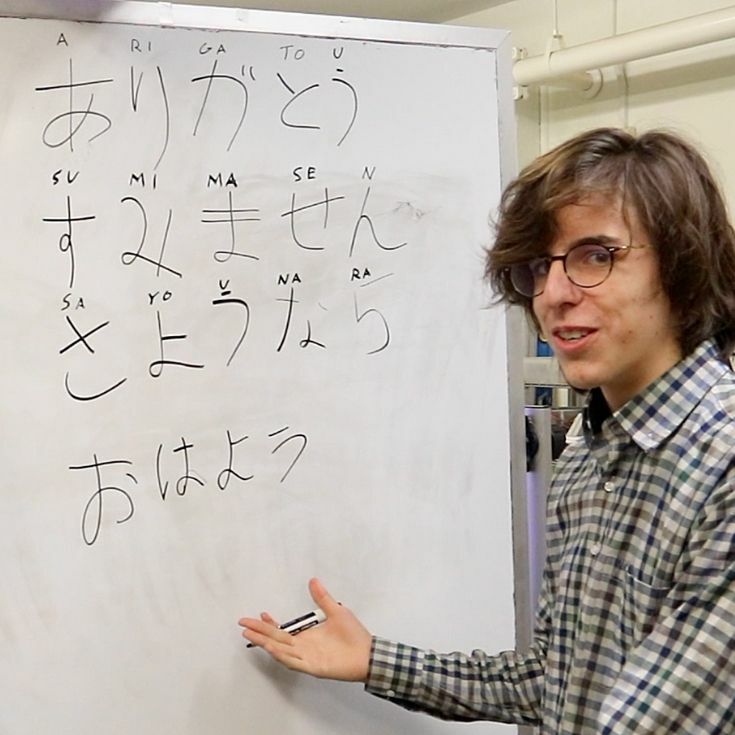 There are no grades and no credits tied to the Japanese Club, yet the boys are voluntarily putting great effort into something that is especially difficult for those with language-based learning disabilities such as dyslexia. Novelty, curiosity and trust, drive continued learning. Going to Japan as a foreigner calls for heightened self-awareness, from using appropriate body language when bowing, to knowing when to employ casual, versus formal, speech. “Thank you” among friends is a quick “domo,” versus "domo arigatou gozaimasu," the polite phrase spoken when addressing elders or teachers. There are different ways to apologize for bumping into a stranger on the train, or accidently wearing shoes into someone’s home. There’s even a specific protocol for exchanging business cards. The Greenwood boys were especially surprised to learn that it’s considered rude to eat, or drink coffee or soda while walking around in public. Who would have guessed the Japanese Club would also provide meaningful lessons in Social Emotional Learning, teaching students to look at oneself through the eyes of another culture? A Greenwood School International student, whose native language is Spanish, takes on Japanese.